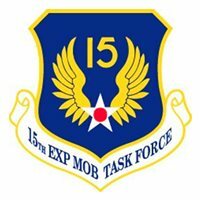 Custom patches for the Fifteenth Expeditionary Mobility Task Force at Travis Air Force Base. It was one of two EMTFs assigned to the United States Air Force Air Mobility Command. Our 15 EMTF patches are 100% embroidered with Velcro backing.